February 19, 2014 | James P. Yudes, Esq. Recently trial Judge L.R. Jones, J.S.C., an effective and prolific writer, explored the procedures to be followed when pursuing a default judgment. If a defendant does not file an answer or appearance within the thirty-five days after a divorce complaint is filed and lawfully served upon him or her, the plaintiff may file a request to enter default. Once default is entered the defendant is usually given an opportunity to seek to vacate the default and proceed in the normal course. 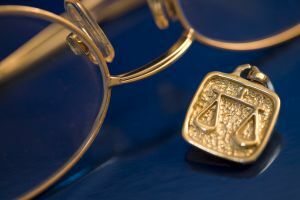 Inexplicably, there are occasions when the defendant allows default to stand, in which case a final default judgment of divorce is entered in favor of the plaintiff. Additionally, default may occur during a litigation when a party fails after repeated warning to give discovery. The threat of default is a strong inducement to compliance with discovery orders. However, when the patience of the court is pushed too far a recalcitrant litigant can find their pleadings stricken, allowing the opposing party to enter default against them. If pleadings are stricken, the offending party is usually given the opportunity to cure their default via full and timely discovery compliance. Not all litigants who find their pleadings dismissed react timely to the sanction, however, in which case the matter moves on with the offended remaining litigant pursuing a default divorce judgment against the defaulting litigant. Judge Jones’ recent published decision in Clementi v. Clementi, N.J.Super. ( Ch. Div. 2014) , explores the procedural requirements and practical ramifications of pursuing a default judgment. Once default is entered, Rule 5:5-10 requires that the defaulting litigant be served with a noticed of proposed final judgment and a detailed case information statement twenty days before the default hearing. Under our Court Rules, the defaulting party can attend the default hearing, cross examine witnesses and challenge the fairness of the proposed judgement by arguing the law as it applies to the relevant facts. A defaulting party’s participation in the proceeding is limited, however, to cross examination and argument, and unless specifically permitted by the court the defaulting party cannot offer any witnesses or affirmative proofs regarding the issues before the court. In Clementi, the defendant did not file answer to the divorce complaint and foolishly did not attend the default hearing. Still, Judge Jones correctly decided that the plaintiff in a default hearing still has the burden of persuasion to show the court that the proposed distribution of assets is fair and equitable under the circumstances of the case. Since the plaintiff did not present adequate proofs at the default hearing, the matter was rescheduled and the plaintiff was directed to serve the defendant with a notice of the new hearing date. The entry of default is a potent tool when dealing with non-compliant litigants. Default, however, does not give rise to an abandonment by the court of it duty to assure that the outcome of the proceedings are fair.